My Winnipeg uncle, Alg Purchase, followed my parents to their Pilot Mound. Manitoba farm,in 1915, worked about on farms and put himself through Manitoba Agricultural College. He went overseas with the University Battalion, served in France, and volunteered for the new Royal Naval Flying Corps. 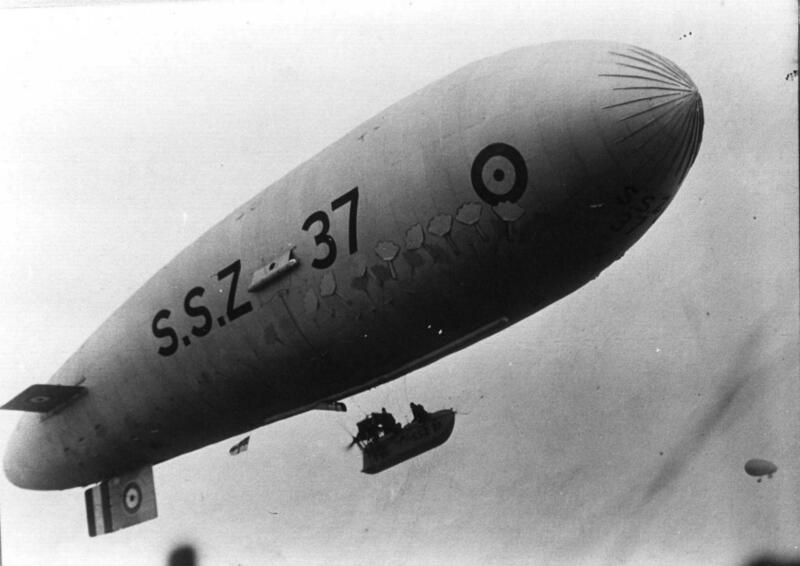 Here is his blimp flying anti-submarine patrols off the British Coast in 1918. And here is the type of car used, for three- sometimes four- crew. It was made of ash and aluminum, designed to float if it came down on water, which it did on Mumbles, near Swansea, Wales. The blimp was deflated, but the crew were OK. (That may be my uncle Alg, standing, aft.